Hello. I just heard that 2006 New Flyer DE40LF numbered 804 has been tooken to south shops. But however I wait to confined this. 804 Has been missing. Its mostly out but no. #804 was out a lot last week still looked like it was in decent shape. However if it is indeed at South Shops from the rumor you heard it is either there for retirement or maintenance. Also you don't have to make a separate thread on things you've heard from rumors. Theirs a better way to go about posting things on the forum. 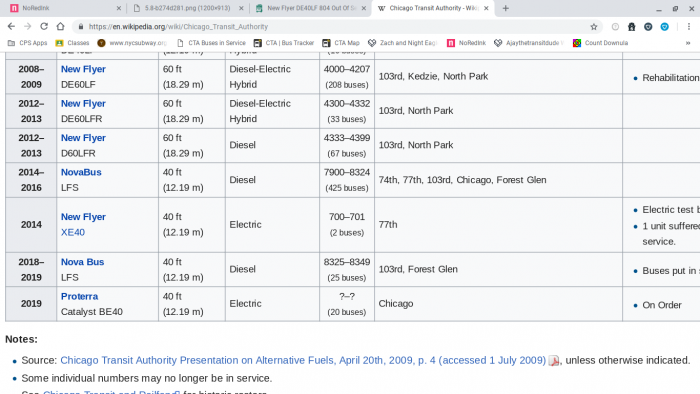 Wow, so that means the 800-series will soon to be retired as well in favor of more electric bus deliveries by the CTA. the retirement is about to finish. Yeah. To me,their too young to retire. Well, they were a test order, and many times test orders go early due to lack of funding for a small quantity like these New Flyers here. They were retired at 14 years old, well below normal age retirement of 18-20 years. the 800's might last that long if 804 is not retired. 804's been off the tracker for at least the last three days, so South Shops maybe? So no sign of 700 series or 800 series. Well,should I have someone close this topic or what? But remember though that 18-20 years of service isn't mandatory for any TA. FTA guidelines say that standard bus life for a bus is 12 years if federal money is used in the purchase. So after 12 years and that bus has survived getting snagged by a total wreck retirement, that TA can retire the bus any time it wants as long it has adequate replacements available. 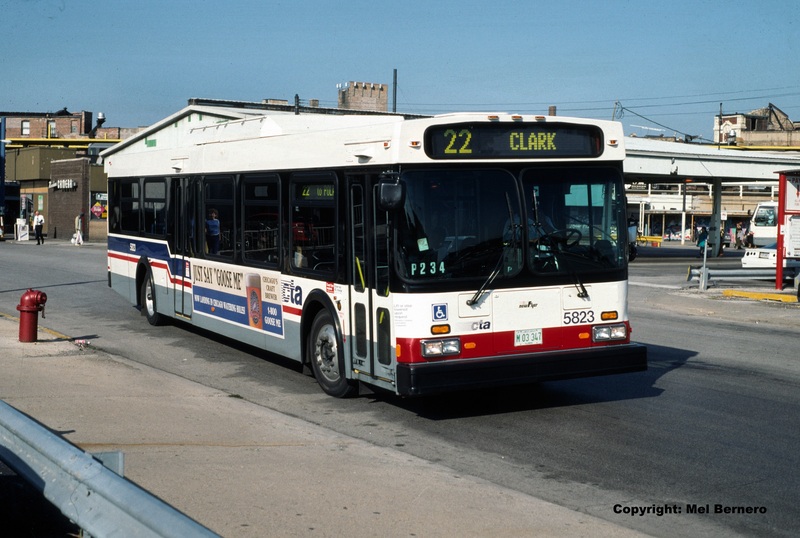 What has kept CTA buses in service for 18-20 years has been the challenge of lining up the funds for the replacement series of buses. So in the case of the 5800s, the controversy wasn't that they were retired after 14 years because federal guidelines say that's allowed. The controversy was that CTA had just completed rehabs on the series only about two or years years prior, if memory serves correctly, leading to a lot of us at the time saying that CTA wasted money. Well, if they did a rehab on the 5800's just a few years prior, it was a waste of money then. If you spend, say 20 million to rehab 65 New Flyer D40LF buses delivered in 1995 only to retire them a few years later, it is a waste. I can't remember the specifics about the rehab cost, but I do remember they received a rebuilt or rehabbed engine and transmission, among other things done. I would think they should've lasted maybe 5 more years from that kind of rehab before retirement, IMO. I saw it On 18th and Blue Island. Rare Catch to see it running on the weekend. 45 wasn't a concrete number. Remember the operative words here are UP TO 45 since CTA and just about every other TA in the US buys in base orders with one or more options if the TA has the money and determines more buses from the options would be needed. So 45 would be if CTA decides it wants the option from the contract. CTA ended up with 1030 NF diesels not because it put in a firm order for that many, but because it first took in a base order of a few hundreds and then exercised several options to bring the final tally to 1030.